SnapShoter written by Xabier Payet is a clipboard manager and screenshot tool which saves any number of clipboards, is compatible to online storage systems like Dropbox and offers multi-user-support. SnapShoter can record screenshots , whole screens or videos. 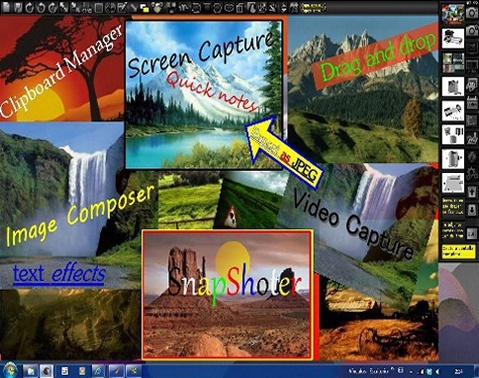 Additionally it features simple picture editing functions.